The newest generation from the Ultima series. 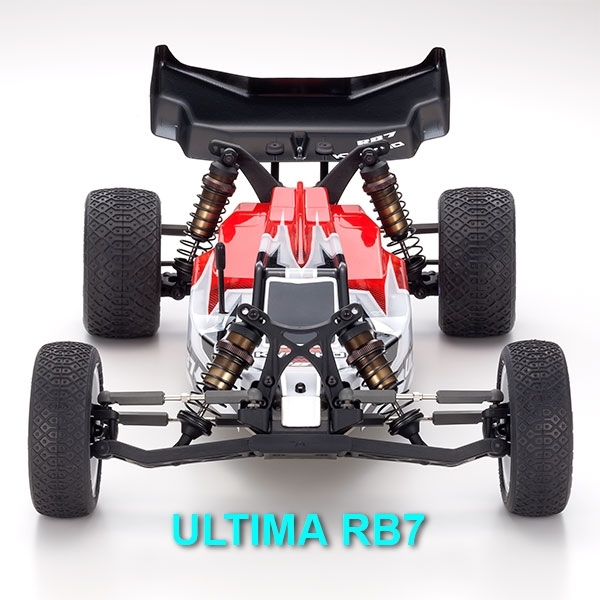 All the years of competition know-how and the latest technology has been condensed into this new Ultima RB7. 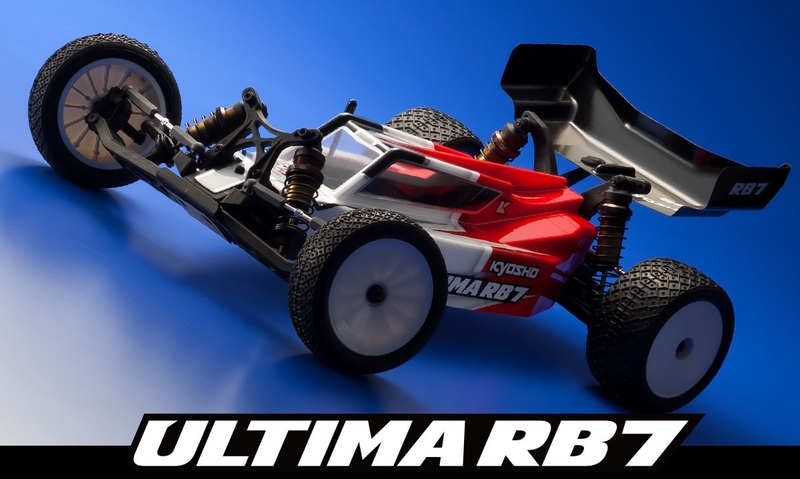 Strictly focused on EP 1/10th scale 2WD competition, the Ultima RB7 has been tested and designed to perform at the very top level. 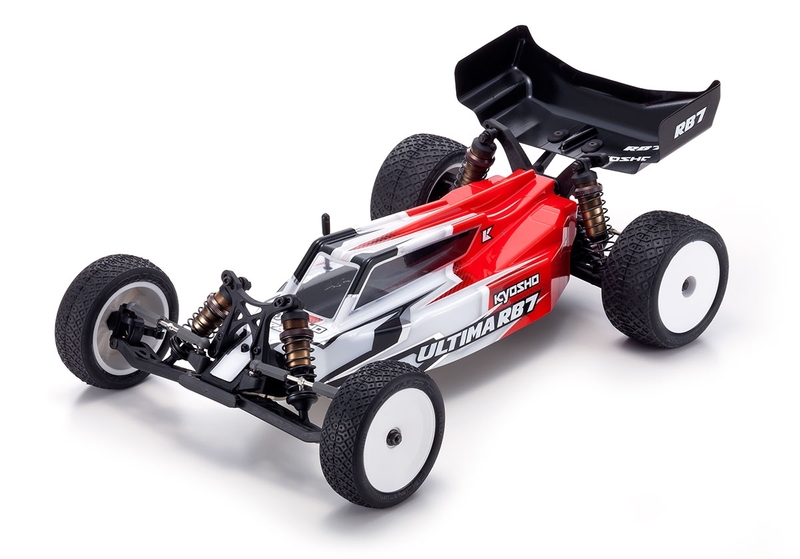 Thought through from the quality of the materials to the precise parts engineering design, this competition kit is for all types of racers who love racing. 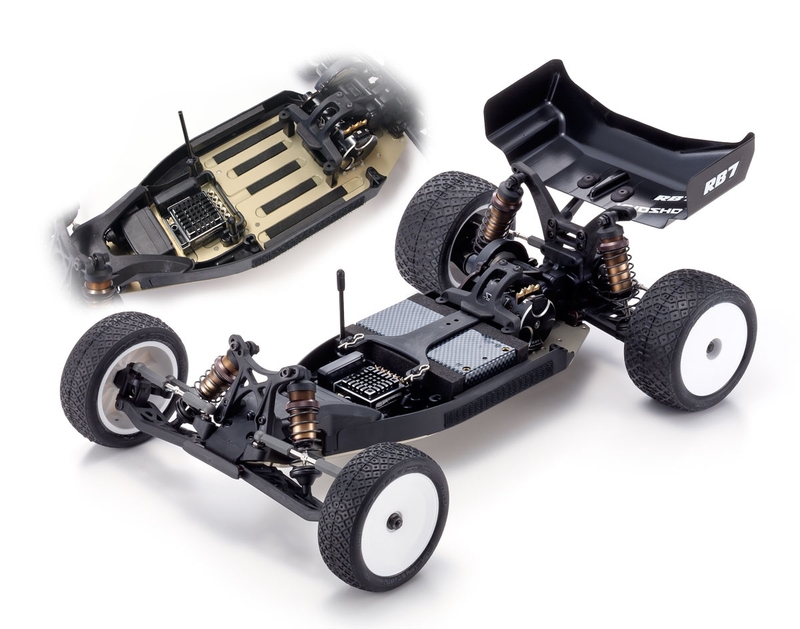 Kit requires Transmitter, receiver, motor, ESC, servo, tires, battery and charger to complete. 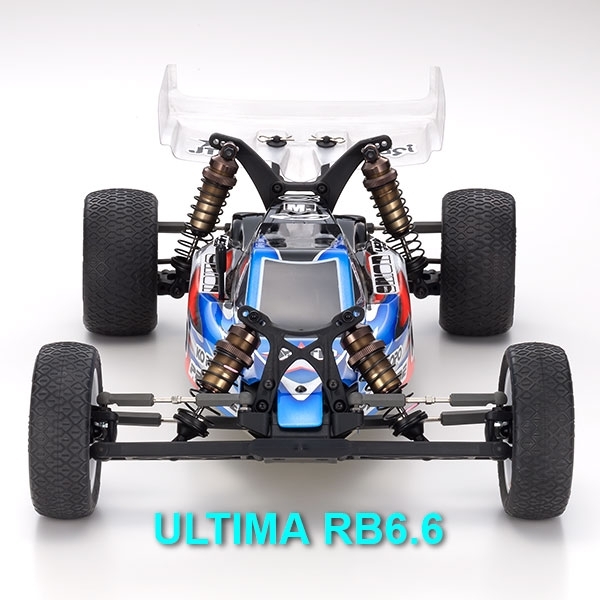 Using the same A7075 T6 grade aluminum as the RB6.6, the 0.5mm thinner RB7 main chassis is milled to realize lighter weight with optimal rigidity. 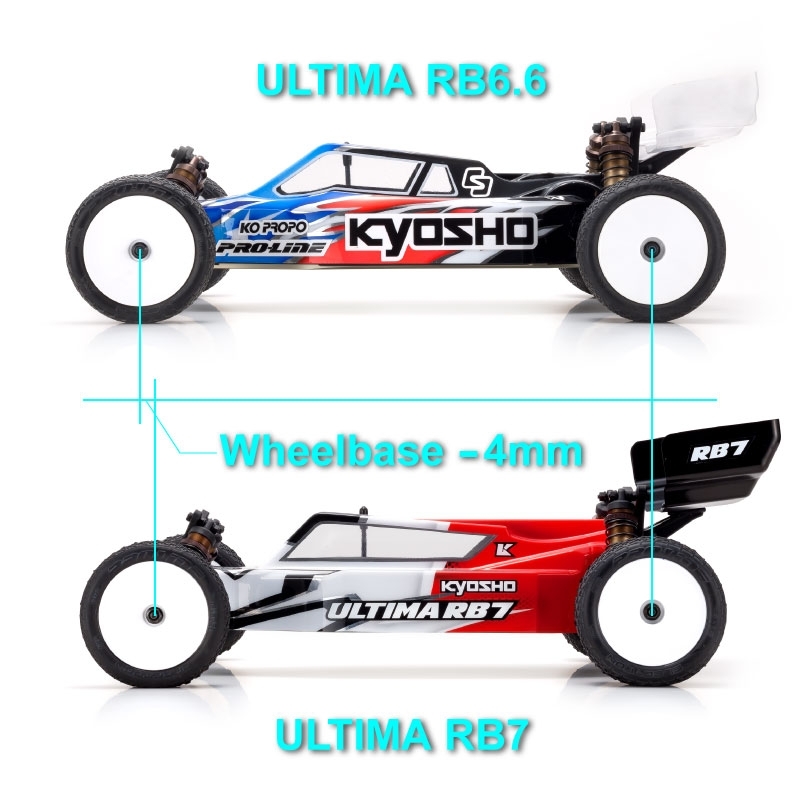 With a 4mm shorter wheelbase than the RB6.6, the RB7 realizes improved high-speed cornering performance. Gearbox has been specially designed for low down 3-gear midship and ultra-low center of gravity to realize exceptional performance on high-grip surfaces such as carpet, artificial turf and hard-packed soil. 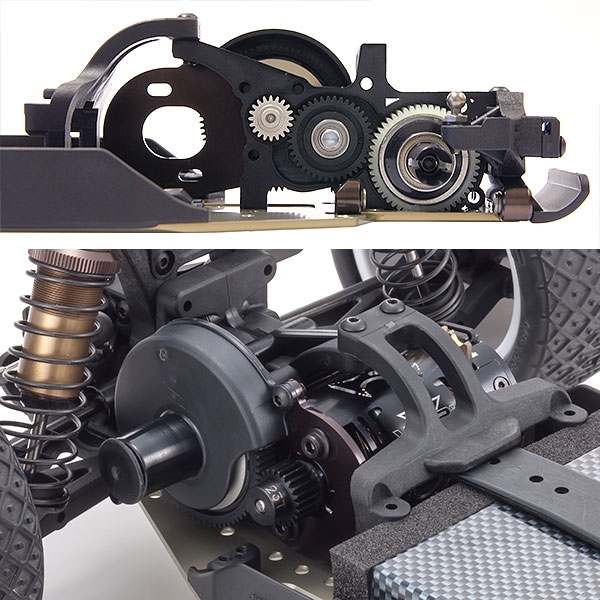 With additional parts, the gearbox setting can be converted for rear motor, 3-gear midship and 4-gear midship, to adapt the machine to different racing situations. 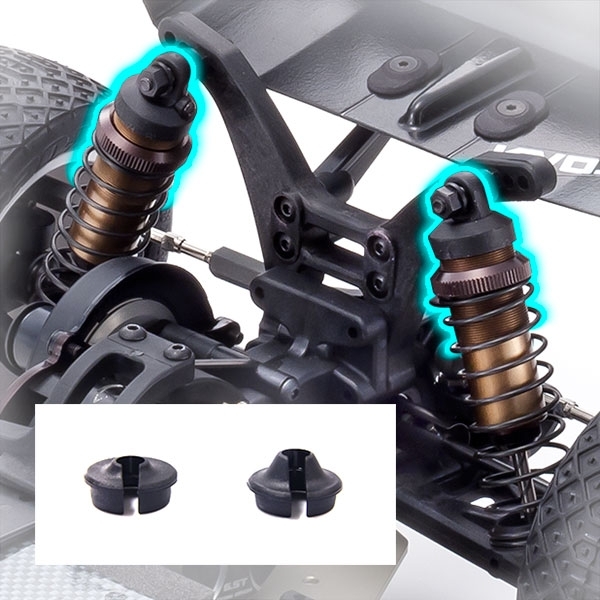 Improved stability over jumps and rough surfaces is achieved with the change to resin shock caps (from aluminum) on the same Big Bore shocks used on the RB6.6. Shock pistons (front φ 1.6mm x 2 holes and rear φ1.7mm x 2 holes) deliver outstanding performance through all sections of the course. Includes 2 bottom spring retainers(short and standard). The short lower retainer is best suitable for carpet tracks. 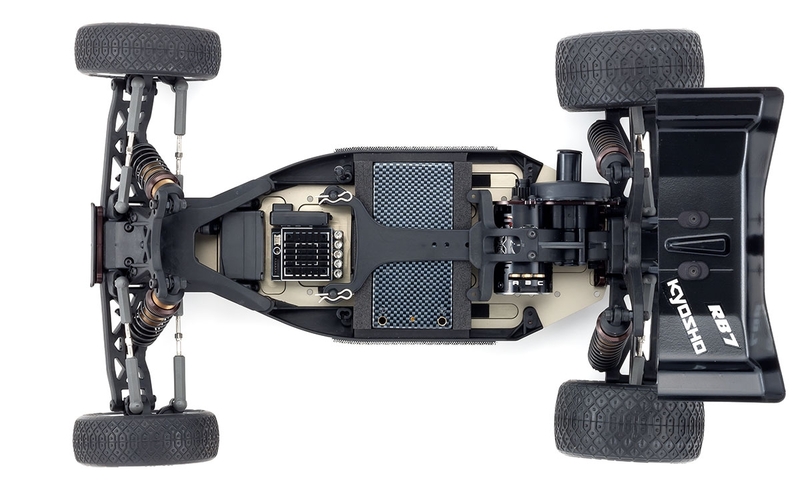 Newly designed gull-wing type front sus arms deliver deeper suspension stroke for superior traction. 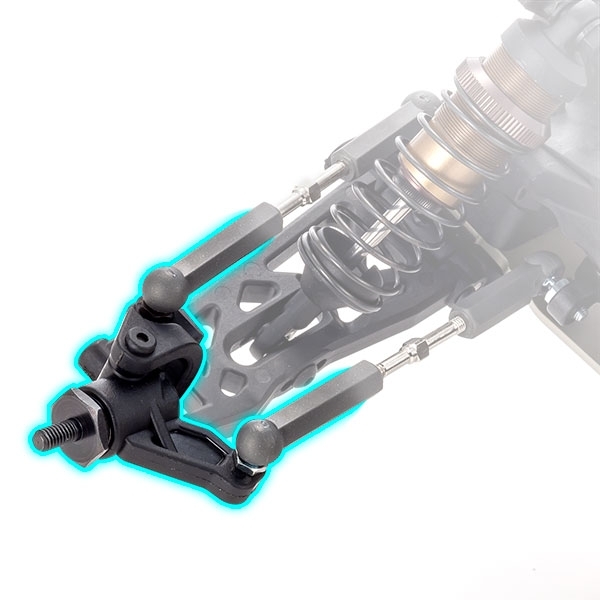 Newly designed steering knuckle realizes optimal Ackerman ratio for improved cornering speed. 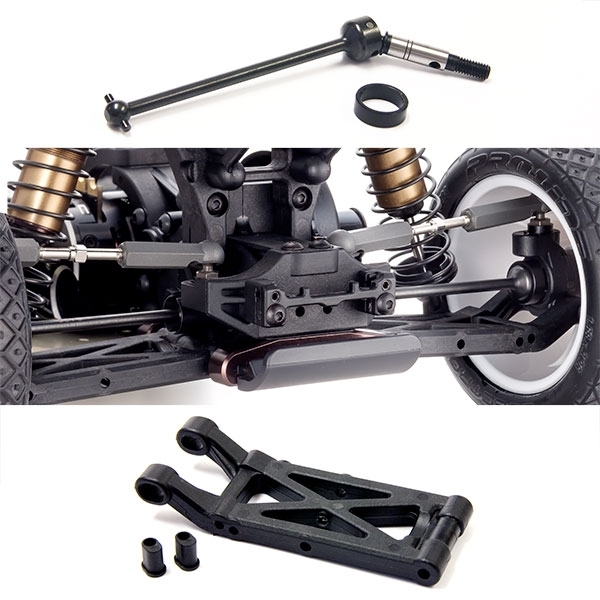 Proven features such as hub carriers with caster angles that can be adjusted with bushes (±0°/＋2°/＋4°), steel one-piece wheel shafts, hardened ball ends, and black chrome adjustable rods are all inherited from the RB6.6. Like the front, the rear sus arms are gull-wing type as per the RB6.6 but on the RB7 bushes can be used on the holed section to adjust sus arm length. For compatibility with latest high power loads, the joint section of the universal shaft has been modified to stop pins coming loose. 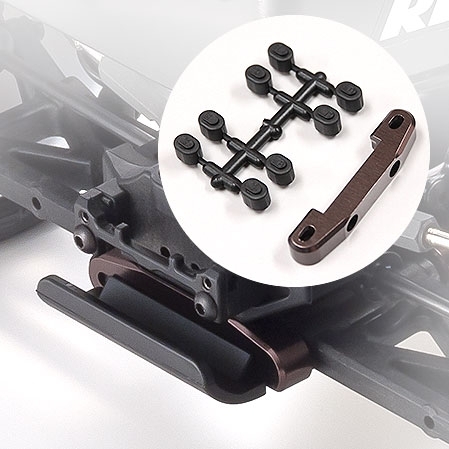 Aluminum rear sus mount holder in the RB7 delivers increased strength compared to the RB6.6 resin holder that required cut and trimming. 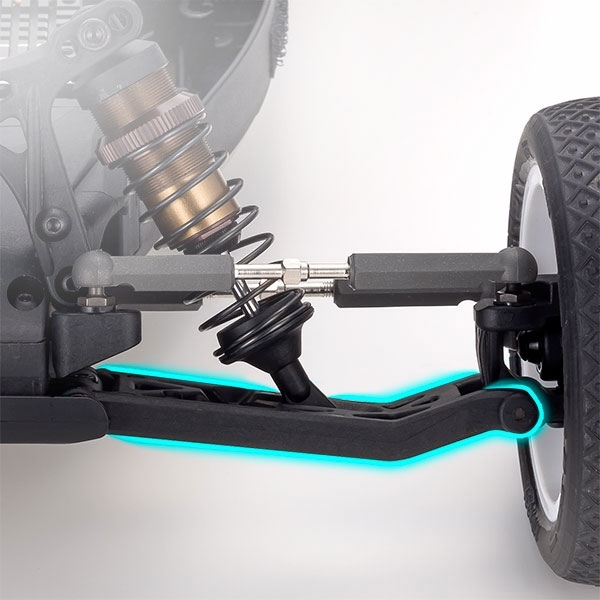 The distance between the suspension shafts (rear toe angle) can be changed by replacing the bush. 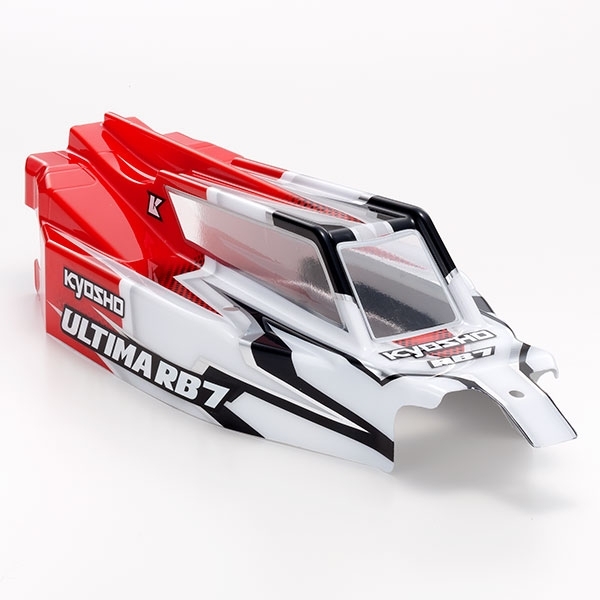 Completely new design aero body features an inline center fin which runs down the center section and continues to the rear wing. 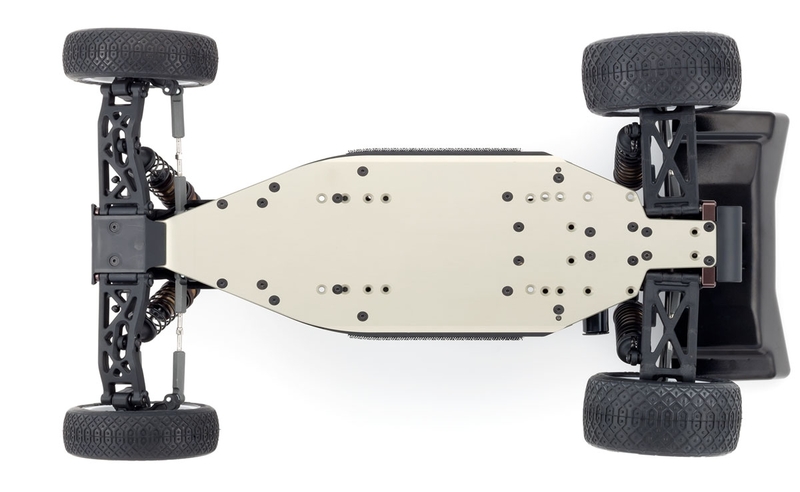 The new design increases traction, stability and corner speed. CCompletely new design aero body features a narrow cabin and optimized window angle for more responsive feel. 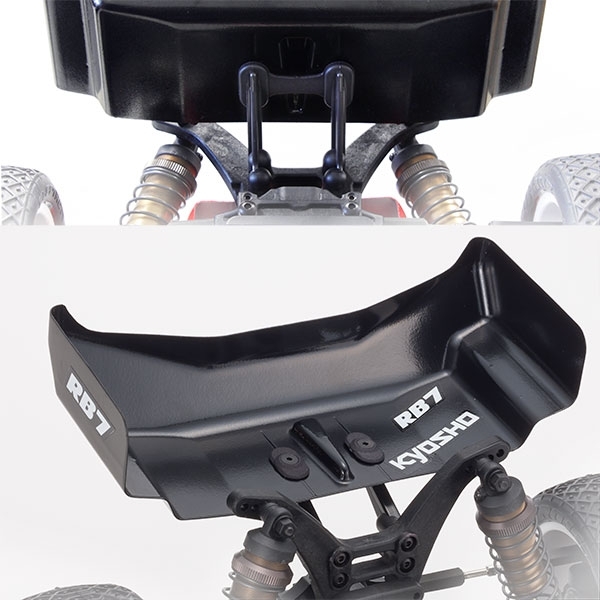 Newly designed 1.0mm thicker rear wing and the change from hook & pin to screw-on mounting provides greater rigidity, durability and superior traction performance.